Eurocom (www.eurocom.com) is supporting the new line of high performance GeForce GPUs from NVIDIA including the NVIDIA GeForce GTX 675M, 670M and 660 in single and SLI configurations in select models. 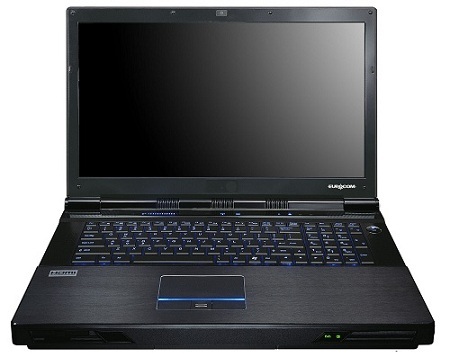 Eurocom will also be supporting the NVIDIA GeForce GT 650M in select Optimus models. The addition of the NVIDIA GeForce GTX and GT series GPU offers users new levels of high performance GPUs for computing in single and SLI (dual) configurations in new Eurocom notebooks based on next generation Intel technology. The new NVIDIA 600 series GPUs will complement the NVIDIA Quadro GPUs, already offered by Eurocom to its professional clients. NVIDIA GeForce GTX 675M comes with 2 GB of DDR5 memory, 384 CUDA cores with the GPU running at 620 Mhz for the utmost in graphics performance. Eurocom will be utilizing NVIDIA 3D technology in single and SLI configurations to improve overall graphics and 3D professional capability with enhanced performance. The NVIDIA GeForce GTX 670M comes with 1.5 GB DDR5 memory, 336 CUDA cores with the GPU running at 598 MHz. NVIDIA's GeForce GTX 660M comes with 1 GB DDR5 memory, 384 CUDA cores, with the GPU running at 835 MHz.